“Boogers do grow! I find new ones everyday!” My five year old yells from the third row seat of our minivan while we’re driving down the highway. A light bulb moment for her since the day before when we told her where they come from (or did our best to explain). She wasn’t having our nonsense, they grow and she wouldn’t be told otherwise! This past Tuesday we watched her head off to Kindergarten in what was a moment mixed with equal parts excitement, nervousness and pride. Excited for the new experiences, friends, learning, knowledge, and new found independence. Nervous for the challenges and the unknowns. 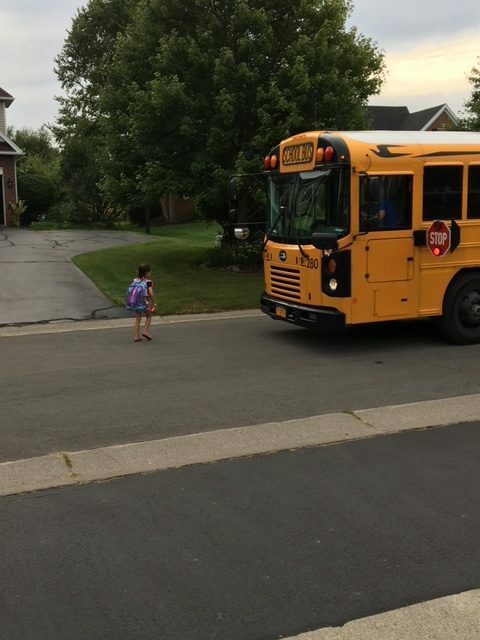 Proud of her for putting on her game face and marching, no tears (except for me and the wife, but mostly me), onto the bus. Her world is about to get so much bigger and if she thought the booger revelation was cool, she has got some very exciting days ahead! Not a whole lot of financial wisdom this week, just wanted to share.